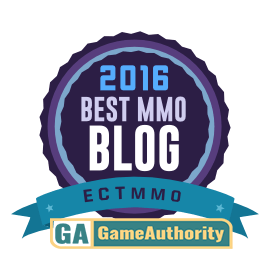 ECTmmo.com- MMO Blog: The Adventures of Kaozz...: Happy New Year! Thoughts On The Coming Year! Happy New Year! Thoughts On The Coming Year! Happy New Year! A bit late on getting this post out of my head and onto the website. Sitting down and actually articulating my thoughts isn't always as easy as it used to be. 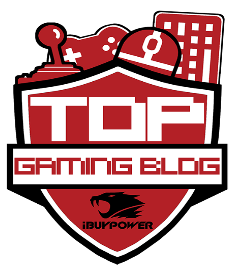 I still enjoy blogging about and playing games but the MMO genre has gotten very stale over the last year. How many times can I regurgitate the same thoughts on the same models? Here's to hoping 2015 is a much better year, 2014 was quite stagnant for MMORPG games. My wish for 2015 is to see INNOVATION and changes in directions for new releases. Warcraft- Warlords of Draenor had a lot of promise while questing and leveling. I absolutely loved it. The garrison was cool and new. Then I realized how much the garrison lacked for someone who loves housing. It was like a crying baby who needed another bottle to be fed to each follower, more upgrades, more gathering, another diaper changed if I wanted it to occasionally crap out an epic or something cool. Thus I quit bothering with it because that ended up mostly all I did; My garrison. Which got very boring. My scrapyard got nerfed, so now I randomly get cool boxes to open, from ten hour missions I don't care about. Oh, and since I am a death knight I don't get any cool unique skins, I get DK starter armor. Gee thanks. On the side while leveling it was great. As a main course it grew tiring very quickly. My minions have a better ilevel than me and they pick on me ( I jest). I don't want to do five mans, I have been doing them for the last ten years, they lost their charm after Burning Crusade. Raids are tiring and boring and the same old thing. The Molten Core raid for the anniversary was the last straw, I wanted to poke my eyes out for doing it for a stinking mount. Slap myself, something. But doing it was punishment enough alone. Dire could not be bothered, he has little time and that isn't a great option for the time he has. And in the end there is nothing else to do that I have not been doing in the last ten years. Overall I am underwhelmed and I cancelled my account until new content comes out for 100- that might offer something Dire, my son and I can do in our own time. All of this stuff would have been amazing FIVE years ago. Not ten. Right now I am truly stagnated, yes, a break is needed. Another 2015 hope- Companies value customers more. Give us real people to talk to, not a form to fill out. Give us a number to call, not a live chat session to sit in front of. VALUE ME DAMN IT. Or I'll go play somewhere else. But Trove is good. It really does feel like it veers away a bit more from the cash shop in many ways, unlike the other Trion games I have played. I also don't mind supporting it. 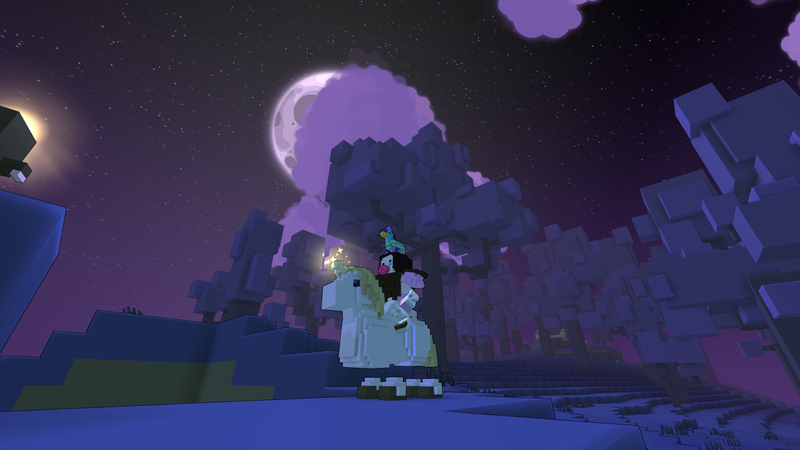 Trove has something that captures you and draws you in. I love the collecting, the simplicity of it all, I love the building aspect too. I hope to see more options to building and adventuring as the game grows. I have high hopes for this treasure of a game. EverQuest is still being played. This year will be sixteen years. Sometimes I do get bored. I admit it. But because we do a lot of the same old zones. Not really old, but same old new zones. I miss the old zones and need something to get me out in the world. Maybe I'll do another epic 1.0 quest on a character. I wish there was a mentoring system (ONE THAT WAS VIABLE) that would allow me to have reason to go back into the world, old content. SOMEONE TAKE THAT IDEA AND RUN WITH IT!! EverQuest does take time to set up and get where you need to be and if there is a death it can set you back on time. So not as easily played with limited time, thus some days we don't manage to log in. I do like not questing, in the usual manner at least. There is the daily, but you don't even need to run back for a turn in. I love EverQuest for what it is and I really need to delve into it and get something to help me explore more. There are so many places to go. I am also playing DCUO which I tried when it was released, or around there. This time I like it more as I have been more accustomed to the action type game play. It is refreshing and fun. The downfall is that it can be confusing as maps are huge, the city for the villains, or major hub rather, is massive and I can get lost for much longer than need be. I don't like that. There is a lot to learn about the game, much I still don't know. As far as I know it is a grind and a lot of grouping to get tokens for gear if you want to play seriously. I'll play it until I get bored. The reason I tried it again is because I get Legendary access for having a station subscription (EverQuest). Which is a nice part of subbing for one SOE game, you get them all. This is on a separate account from my EQ2 account(s) though. I am having fun and it is great to be a newbie in a game, that 'new MMO smell', or something like that. DCUO has less options to make a cool character off the bat. Unlike Champions, where I spend hours just playing with the character creator. But the nice thing is stumbling on new items and adding them to my collection. It also has housing, which seems neat so far. There is reason to go there besides just decorating. You feel more like a hero/villian starting out when compared to Champions, I have only died a couple of times. Groups are terrible at the low levels, I don't know how many I'll bother with they make me want to hurl thus far. If I were to compare DCUO to Champions, it would be hard, two different styles of games, even the combat systems are apples and oranges. I am also (quite slowly) dabbling with Villagers and Heroes, A Mystical Land. Which started out as: A Mystical Land, when it was released. The game is quite vanilla. It doesn't seem to be complicated really. It does have fun skill tree choices. It does not have mounts or pet classes. It does have a form of housing, which also offers farming. It also has crafting which has been fun so far. I like logging in and playing around a bit. The game has a very cheerful feel. The graphics are not cutting edge, or even close, but it has a well rounded look. It feels like a solid game. It needs some work but if you crave something vanilla and not overly annoying and complicated, it seems to fit the bill. I do feel like less junk in the inventory would be better, a separate bag for crafting would be great too. I could see myself playing this game a lot, I don't know how far I'll take it though. I don't know all that much about it honestly. That's the gist of it. I am just dabbling with stuff that just isn't feeling like a copy of a copy. Taking a closer look at kick-starters and indie games, games offering early access or open beta. I even downloaded Project Gorgon. Which I cannot report much besides it seems cool and very charming in and old school way. You can even download it and play by signing up in game. Easy to get in and get started. If you want something fresh with an old school vibe, check it out. They added new races since I last tried it. Which don't look half bad. I really want to see more sandbox options and freedom in 2015. I want to get away from that WoW feeling. Not the WoW of 2004, the game it has come to be that so many others copy. I want to explore, not sign up for an hour wait in LGF for a five man dungeon that takes 45 minutes to do. Quick and fun dungeons that have flavor! Games that offer incentive to go out and explore, and go back to old haunts sometimes. I want direction too though! I don't want it to be as vague and directionless as Second Life can be. Some people love to raid and group, but we have plenty of those games, do we really need more of the same with a different skin? We had some big promising games like Wildstar, for instance. Which lacked any true innovation. Great housing, yucky combat and... Raiding! The game could have been something so much better if the developers were not stuck in a time capsule from Vanilla WoW. They changed the wrong things and kept the things they should have changed. Because at the end of the day, it is a raiding game. A model with keys and gating at that. Housing was one of the few redeeming qualities but they scrapped holidays. Ugh. Is anyone even playing this, I mean seriously, not something on the side. My brother even left it. One of the most beautiful MMO games I've set foot in, The Elder Scrolls Online, could have been more. End game ended up being a grind with ranks.. and then group only end game areas. All this from a game you solo'd through? I think this was just lazy development. I still hope to see it go free to play, I don't think it will be a big hit on the console either. At least not as a sub based game. The list goes on. I was truly baffled at the snail's pace Landmark went in 2014. I quit thinking about it until combat came out and I think I'll remember it again when I hear the words OPEN BETA. I'm not up for paying to test something THAT long. No, we're not all developers, because if I truly was we'd not bother with pointless PvP in a building game. But that's the cool thing now, or at least developers tend to still think? Anyhow, I wish those trying to break out of the mold all the best of luck. We need fresh and new ideas, or even just DIFFERENT ideas. Sometimes the best ideas are the simplest things. Sometimes doing the simplest things can be the most rewarding. We don't always need things to be complex and calculate to have fun. Ask Mr.Robot.. Maybe even take us back to the roots, vanilla is actually comforting. Just don't take us back to 1999, literally, I might fall asleep, I'm too old for that. Hope everyone has a wonderful 2015! Thanks for coming back to another year of my antics. Best wishes for a wonderful 2015 to you! I got a slow start there too, would eventually like to go back and try some of the new class/professions out eventually. I'm sure at some point I'll give it another try this year. I'd like to actually get a mount this time!